Just one month ago the last two remaining residents in Puerto Rico without electricity had their power restored. They're finally able to start moving on from Hurricane Maria. President Donald Trump is not. In this week's fact check we examine some of the outlandish statements the president made about last year's hurricane season, starting with his denial that thousands of people on the U.S. territory died during the storm. Defying official estimates and offending countless people, President Trump boldly claimed on Thursday that 3,000 people "did not die" in the hurricanes that razed the island of Puerto Rico last year. "3000 people did not die in the two hurricanes that hit Puerto Rico. When I left the Island, AFTER the storm had hit, they had anywhere from 6 to 18 deaths. As time went by it did not go up by much. Then, a long time later, they started to report really large numbers, like 3000...," Trump tweeted. The exact number of lives lost from Hurricane Maria may never be known, but as Speaker of the House Paul Ryan said Thursday, there is "no reason to dispute these numbers." 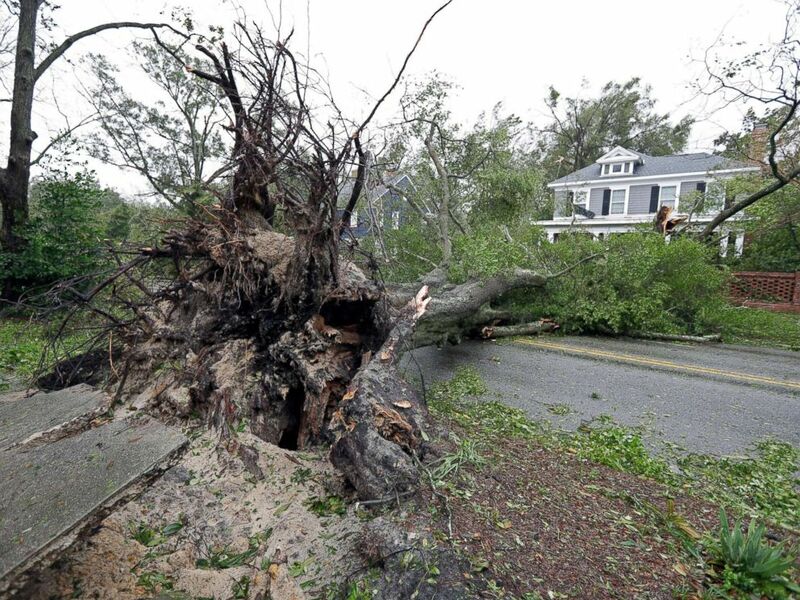 A tree uprooted by strong winds lies across a street in Wilmington, N.C., after Hurricane Florence made landfall, Sept. 14, 2018. If Trump is saying 3,000 people didn't die the day the storm hit, he's right. But if he's denying that 3,000 people died in the months after the storm, many of whom were elderly, sick or impoverished and unable to endure the devastating loss of infrastructure, food and water and access to medical treatment, the evidence suggests otherwise. 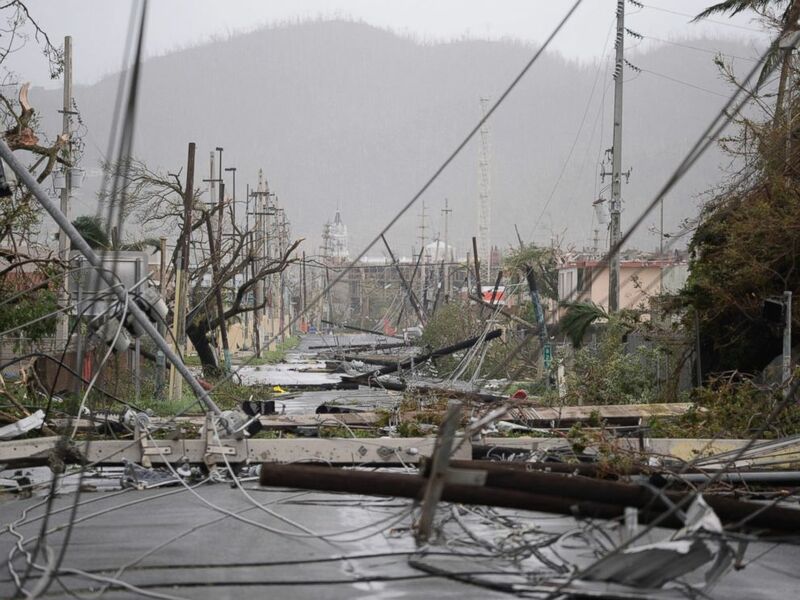 The George Washington University's Milken Institute of Public health produced a comprehensive report that estimates "there were 2,975 excess deaths in Puerto Rico due to Hurricane Maria between September 2017 and February." In this Sept. 20, 2017 file photo, electricity poles and lines lie toppled on the road after Hurricane Maria hit the eastern region of the island, in Humacao, Puerto Rico. President Trump also blamed the Democrats for inflating the numbers, a statement that is also not supported by any facts. "...This was done by the Democrats in order to make me look as bad as possible when I was successfully raising Billions of Dollars to help rebuild Puerto Rico. If a person died for any reason, like old age, just add them onto the list. Bad politics. I love Puerto Rico!," Trump tweeted. The Milken Institute School at responded to the President's criticism, saying in a statement "This study, commissioned by the Government of Puerto Rico, was carried out with complete independence and freedom from any kind of interference." Trump's claim that the study counted those who died of old age is a direct affront to the research methods laid out in the report. Yes, they counted deaths of elderly people. But, by comparing years of data gathered prior to the storm, they also found that "older, male Puerto Ricans had a risk of death that was 35 percent higher than expected" than in years past. ABC News has asked repeatedly for the White House to provide its own death toll estimate. They have not responded. It wasn't just the denial that thousands of Puerto Ricans lost their lives due to the storms – the president threw out a litany of false or unsubstantiated related to last year's storm. He described the response as an incredible, "unsung success," but didn't back that claim with facts. The president falsely claimed that Puerto Rico's electrical grid "was dead" before the first of the two Hurricanes struck the island last year. "It was largely – you know, it was largely closed," the president said at the White House Tuesday. The president is right that Puerto Rico's electrical grid was fragile and financially unsound. But it wasn't "dead." According to FEMA's after action report the storm wiped out power for all 3.7 million people on the island. And they acknowledge their own plans "did not anticipate" the response that would be needed to deal with the loss of electricity, telecommunications and fuel supplies. 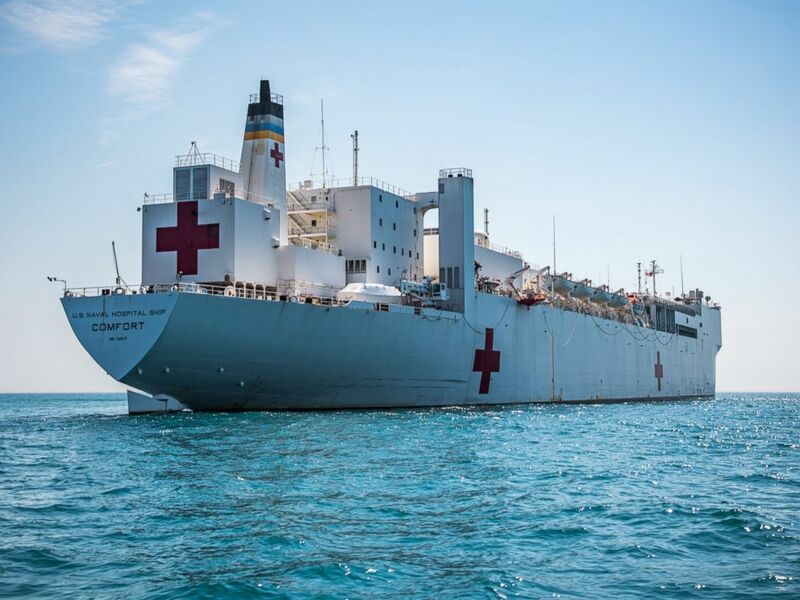 The Military Sealift Command's hospital ship USNS Comfort (T-AH 20) navigates through water during Comfort Exercise (COMFEX) 2018. President Trump appeared to inflate the role of the U.S. Navy hospital in Puerto Rico, the USNS Comfort. "Well, I think Puerto Rico was incredibly successful... we moved a hospital into Puerto Rico – a tremendous military hospital in the form of a ship." But that effectiveness of that deployment has been called into question. The New York Times reports that over its 53-day deployment it only treated 290 patients. The ship has 250 beds. Finally, the president also claimed this week that he "was raising Billions of Dollars" to help rebuild Puerto Rico. Unless he's referring to an undisclosed contribution from one of his own charities, that statement is not accurate. Congress sets funding levels for disaster relief. And if the president is suggesting he was leading that charge, let's remember what he tweeted when those decisions were being made. Electricity and all infrastructure was a disaster before hurricanes. "Congress to decide how much to spend...," Trump wrote in one tweet. He followed with this: "....We cannot keep FEMA, the Military & the First Responders, who have been amazing (under the most difficult circumstances) in P.R. forever!"